Built tough. Built to last. This isn't a toy. It's a bona fide work machine. 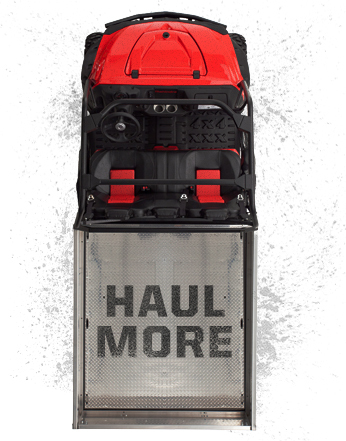 Up to 1,200 lb cargo capacity to make those big jobs go by faster. Multiple engine sizes and fuel sources to choose from. A 2,100 pound towing capacity means you can handle even the toughest of jobs. Mahindra XTV utility vehicles are designed to haul more, tow more and go more. Built from the frame up, we're setting the standard for handling hard work around the farm, in the field or anywhere else you need to take it. Use this field to tell us more about what you're looking for. You can also let us know if you have a trade-in you'd like us to consider. Thanks for your inquiry. Someone from the sales department will be with you as soon as possible.